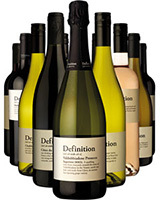 Last September, Majestic finally entered the ‘own brand’ arena, with the launch of a small, but in many cases, perfectly formed selection of their own wines, labeled ‘the Definition Range’. There are currently 12 wines in the range, all priced between £7.99 and £13.99 (when purchased as part of any mixed 6 bottles). Early success of this selection, which exceeded all expectations in terms of sales in the first 5 months, would indicate that the range will expand, with a Pouilly-Fume and a Chianti planned for later this year. A range that captures the quintessential qualities of the world’s greatest wine styles, with a little help from some of the world’s greatest winemakers. With a team of passionate wine buyers at the helm, the wines have been specifically selected and blended for Majestic - Simple, easy to understand labels; and a clear ‘family’ feel. It’s a range to suit the confidence of those who already know a thing or two about wine, but equally interesting for new wine lovers – trust the range and start exploring! Unsurprisingly New Zealand Sauvignon Blanc, and Prosecco are the top 2 sellers, with Rioja Reserva in 3rd place. Please note the prices advertised in this article are valid when you mix any 6 bottles. The Prosecco craze continues, with swathes of new arrivals every week. With demand increasing relentlessly, there are a few dodgy, and inferior Proseccos hitting the shelves. You can rest safe with the Majestic Definition Prosecco; it comes from the high hills, around the village of Valdobbiadene, one of the two highest quality regions for the production of this wine. It’s fresh, ethereally pale, with delicate aromas of elderflowers, succulent pears and lemon peel, streaming out of the glass in a stream of minute bubbles. Some Proseccos are too sweet – this one is deliciously crisp, crystal clear and refreshing. Definition is the right word here; classic, super-clean, jam-packed with an exotic, aromatic medley of passion fruit, lime zest and herbs. Exuberant, aromatic, and bursting with character and typicity, this beats many of the top brands, and great value when you buy as part of a mixed 6 pack. Great with Thai prawn curry, Asian-style salads, and ginger and lemongrass steamed cod. Without a doubt, my favourite white wine of the range; this is fantastic value, and knocks spots off many Burgundian Chardonnays. It’s ripe, bold, creamy, and oozing personality and style. It’s from Limoux, an area high up in the hills of southern France, which produces top notch Chardonnay due to the cooler conditions. Luxurious, textured and full of ripe peach, toasted hazelnut, and ripe pear flavours, it’s an absolute winner. With its rich texture, it works superbly with richer fish and chicken dishes such as Salmon with hollandaise sauce, buttery roast chicken, as well as a gooey, baked camembert. The epitome of classic Cotes de Provence Rose at under a tenner - tremulously pale in colour, with a mere whisper of peachy pink colour; subtle scents of strawberries, with hints of lemon peel and fresh herbs; delicate and ethereal on the palate, with a lovely, summer fruit and lemon edge. This evokes thoughts of sunshine, holidays, and lazy hazy summer lunches and barbecues – Chargrilled prawns, tuna nicoise, the freshest of salads. Bring on summer. Move aside wimpy, thin Cotes du Rhone, this example has some real character. Cotes du Rhone is meant to be a juicy, fruity, not over-complicated, yet satisfying red, full of appealing, easy-drinking, spicy berry fruit. This one fits the bill; it’s bright and crammed with a plethora of rich cherry and raspberry fruit, hints of wild herbs, and a sprinkling of black pepper. Great value – ideal with a simple platter of charcuterie or cheese; or equally perfect with slow braised lamb shanks, sausage and mash, or meaty stews. Well done Majestic for wheedling out this brilliant red, which offers outstanding value. Claret lovers, this one’s for you, when you want a classic style, to enjoy on an everyday basis, or with your Sunday roast. Montagne Saint- Emilion is one of the satellite villages close to the world famous Saint-Emilion, and delivers similar style wines, but at far better value. Even better, Majestic have secured a parcel of the 2010 vintage, one of the best vintages of the decade, which has maturity, ripeness, and style. Full of classic characteristics of blackcurrant, cedarwood, plums, and dark chocolate, it’s a great buy, and far better value than many overpriced clarets. Classic Rioja is all about the balance of soft, velvety, red berry fruit, and the enhancement of gentle, vanilla and hazelnut-scented oak. Another great wine, with a bit of maturity, for under £10. This one’s been aged in oak for just under 2 years; perfumed and beckoning on the nose, with wafts of strawberry fruit and vanilla pods, it’s a deliciously soft, and velvety red, full of warm, bright, plummy fruit, with toasty, yet subtle overtones. Look no further for your perfect red for Sunday’s roast lamb – and pretty good with pork and chorizo stew too. Malbec is THE red grape of the moment, and riding high in the red wine fashion stakes; brought to popularity initially by forward-thinking restaurants, such as Gaucho Grill, with a focus on top quality steak, it’s now a top favourite across the country. This is a real Latino charmer, full of dark, brooding, spicy character. Bold, rich, with fleshy, dark berry fruit, bitter chocolate, and licorice. Another under £10 wine (when you buy as part of 6), it’s a good expression of what Malbec is all about, at this price. What to serve… simple – steak. Roast beef. This is a bright, vibrant, textbook Sancerre, clean and tangy. Sauvignon Blanc in its purest form, with bags of searingly dry, crisp gooseberry and green apple fruit, with lip-smacking lemony freshness. Try this with goat’s cheese salad, a bowl of steaming mussels, river trout, or the freshest of seafood. The brief to the team on this one, was to find a classic Chablis, at a great price, which would work with smoked salmon (it works with lots of other food too, but that’s the official comment). Unless you are paying over the odds, there are far too many indifferent, green, one-dimensional Chablis’s on the market. This one has a creamy elegance, with hints of baked apples, freshly squeezed lemon, and a tangy, ultra-crisp finish. A great example of good quality, affordable Chablis. Perfect with salmon, creamy fish pie, fresh crab, and herb-grilled chicken. *All ratings are based on quality of wine linked to value for money. ^This article is showing the prices and stock available on 25/02/2016. 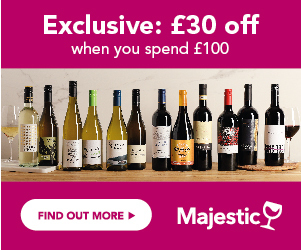 Save £38 off now just £122.88, that's an average of £10.24 per bottle.